So I bought it for $10. 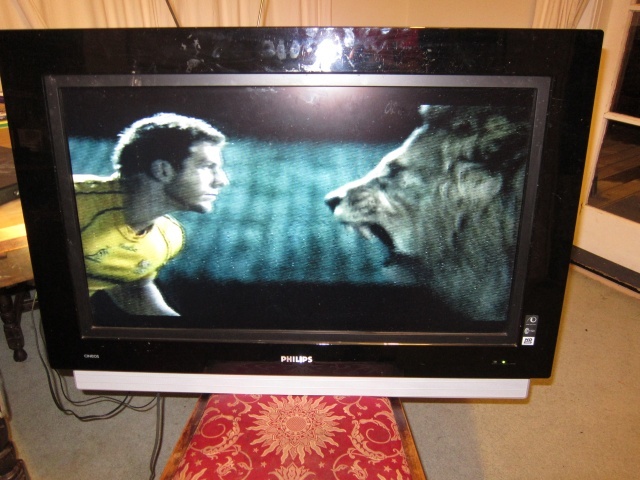 There was also a 50 inch LCD (or maybe plasma?) TV there too, which I didn't grab because it was too big to fit in the car (and we don't have a wall big that would fit it). 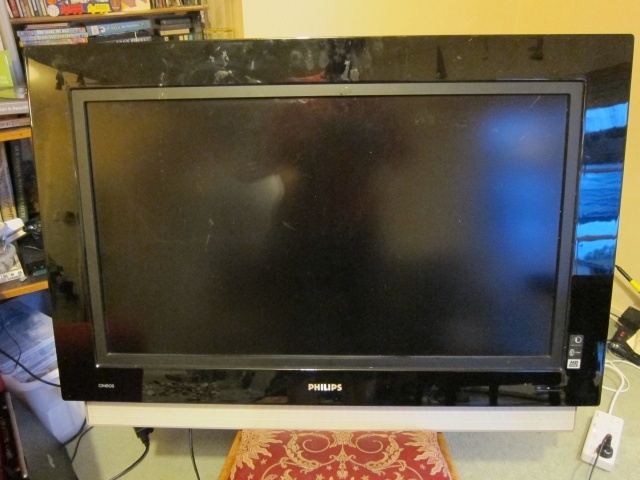 It's a Philips 32 inch Cineos HD LCD TV 32PF9531 from around 2007. It does HD (HDMI) and has a USB but not Freeview. It would have been around $3000 when new. Once home I had a closer look and noticed the plastic on/off button was broken (it's actually a "on/sleep" button). Could that be the reason it was thrown out? I removed the back cover and found the plastic button had broken off it's plastic tab (far left) - so glued it back in place with some superglue. 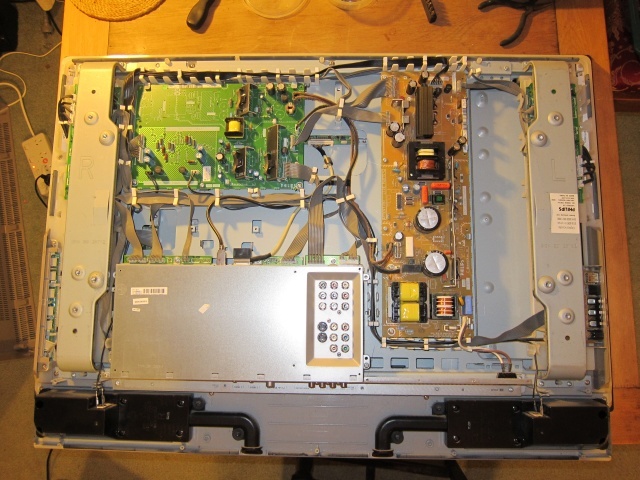 The low voltage switch behind the button was fine - it was just the bit of plastic that depressed the button to bring the TV out of sleep mode that had come adrift. I also looked at all the electrolytic caps and they looked fine. And that was it. I plugged it in to a rabit-ear arial and it worked fine. The picture is much better from a DVD player of course. And once I'd cleaned off the finger marks it looks good too.